Video surveillance solutions from CTI Security Solutions allow users to effectively assess situations and react to incidents from remote locations. Reputed for quality and reliability, our IP cameras, codecs, and recording solutions integrate proven video content analysis techniques with the latest streaming methods. All our equipment is customizable and based on open standards, thereby simplifying integration and installation. Our video surveillance systems guarantee total oversight and efficient management in addition to promising the best possible solution for the actual task at hand. 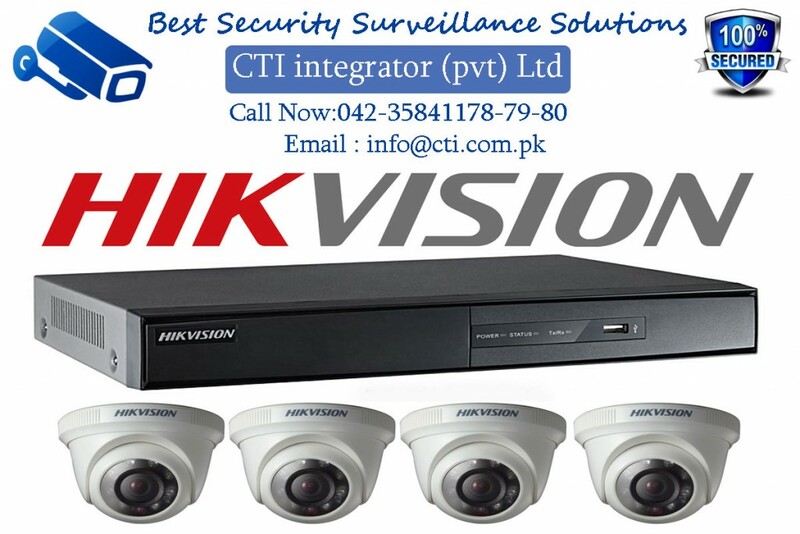 Our Security Solution with complete range of CCTV surveillance system including CCTV camera- CCTV Analog( box camera, Box cameras, Dome security camera, IR security camera, CCTV PTZ camera, Bullet Camera) and CCTV IP camera ( Network cameras, wireless security cameras, CMOS cameras), CCTV DVRs( Standalone DVR, Hybrid DVRs, Combo DVRs) and CCTV NVRs, CCTV Storage and other accessories.